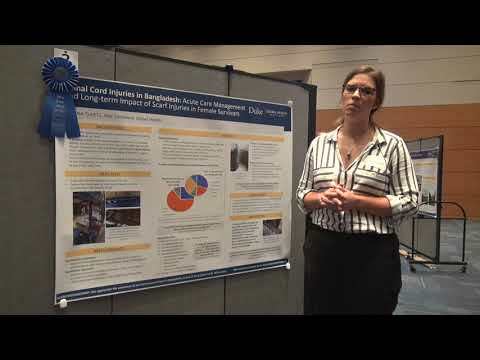 Students presented posters about their summer research and winners were announced for the photo and poster contests. 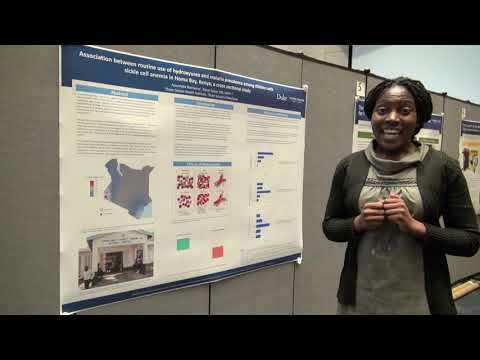 The student poster exhibition enables students to get feedback on their field research findings and offers a supportive environment for them to share their data as they begin to develop the findings into theses or manuscripts. 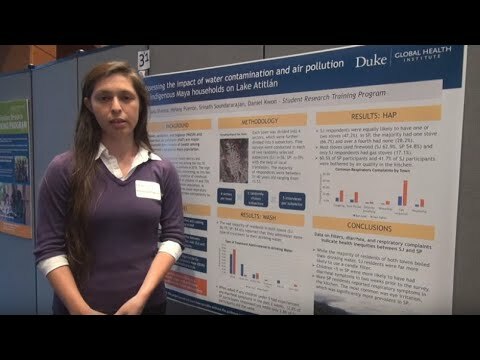 DGHI professor Megan Huchko presented awards for the best undergraduate, graduate and Bass Connections posters. The judging panel included seven DGHI researchers and postdoctoral fellows. They evaluated how clearly students described their research aims, their research methods, the scope of the project and the conclusions reached. They also factored in the visual clarity, appeal and creativity of each presentation. 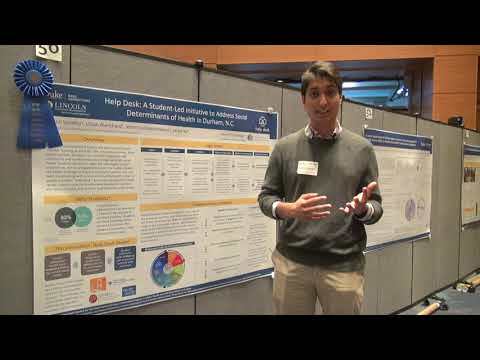 The winning Bass Connections poster was “Help Desk: A Student-Led Initiative to Address Social Determinants of Health in Durham,” by the team that’s working with the Lincoln Community Health Center to study health disparities in Durham. Team members include undergraduates Sahil Sandhu, Lillian Blanchard and Jackie Xu, and Master of Public Policy student Veronica Sotelo Munoz. The photos were judged by a five-member panel, including an undergraduate global health student, a graduate global health student, a DGHI faculty member, a DGHI staff member, and a member of the Duke Photography team. In addition to the judged competition, DGHI also held a People’s Choice Award contest on Facebook. DGHI professor Sumi Ariely announced the winners of the student fieldwork photo contest. “Pictures are another source of information,” she reflected. “Just like quantitative data, images are another type of reality that persist across time and help shape our understanding of the world.” In her comments, she told students that their art is an invitation for all of us to push the boundaries of our thinking and to push our understanding outside of our comfort zones. Prints of the winning images will hang in the hallways of Trent Hall as part of the Institute’s photo collection. Global Health Showcase is made possible through the generous support of the Muglia Family Foundation. View the multimedia feature, "Picturing Global Health: Snapshots from the Field"
Master of Science in Global Health student Jessica Choi talks with guests about her thesis research from Malaysia. Photo by Amey Chaware. What all these projects have in common is the effort, care and passion that has gone into each one.